Web hosting services are offered by different web hosting organizations to make your site visible on the Internet. To have your website visible online one needs to have a domain. Firstly, for all beginners, it’s important to understand what web hosting is all about? Web Hosting is the companies that increase the visibility of your website. Since they provide you a server or space. They know that there are many web hosting companies around the world that offer services to their clients. But some of the other way they lack behind in terms of services or features. But in this blog, you will get a clear idea about the companies that you need to choose. 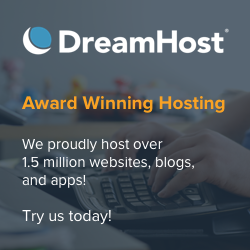 One of the Best Web Hosting organizations that we know is MilesWeb. MilesWeb is one of the well-renowned company which offers services in web hosting. It is based in India since 2012. They have been providing hosting services to all types of businesses in the market at affordable cost. MilesWeb is a one-way solution for your domain to get space on a server. Web hosting services offered by MilesWeb comprises technology, uptime, and 24x7x365 exclusive customer support. MilesWeb offers web hosting services from basic hosting plans to advanced hosting plans for multiple domains. MilesWeb Unlimited Web Hosting Plans offers everything you may need for your domain. They offer world class web hosting services to their clients. It starts at just Rs. 99/month. Especially, they manage your website in such a way that it saves your time and work. It delivers best services to its customers in terms of features, pricing, and reliability. Free Domain- You get a free domain for Value & Unlimited plan for your website. You can also transfer your existing domain without any charge. SSL Certificate Free- SSL implementation helps customers to trust your site. Free Site Builder- Easy way to publish your website using a template, posting images and content on it. No coding skills or technical background is required. Pure SSD Drive- For better performance of your website your entire data is stored in SSD drive. Secure Email- Create unlimited POP3/SMTP/IMAP email accounts. Access it through webmail, outlook or mobile devices. cPanel- cPanel manages all your accounts, domain, sub-domains and many more. 1-Click Installer- You can install various other applications such as Joomla, WordPress using Plesk Installer. Malware Scan & Removal- They defend your website against malware. Your website is under observation and if they find any threat to your website, they fix it. Instant Account Setup- All hosting accounts are installed once the payment is confirmed. Latest PHP & My SQL- They have the latest and the most stable versions of PHP and MySQL database installed on all their servers. Datacenter Choice- Their datacenters are in India, Romania, UK, and US. you can choose your preferred location at the time of sign-up for no additional cost. Free Website Migration- Easy way to switch from existing hosting service to MilesWeb hosting service without any charge. They take care of all your data while switching to a server. White Labelled- They provide the ability to re-sell their hosting plans as if it is your own company. In addition, they are managing your technical necessities like server maintenance. Allow you to include branding on all their reseller plans. SSD Storage- You experience fast load time of your site with SSD storage. It uses less energy and improves load time as compared to traditional storage. Data Center Choice- Their datacenters are in India, Romania, UK, and US. You can choose your preferred location at the time of sign-up for no additional cost. Free Domain Reseller- You can start using domain reseller tool to resell domains. You can also incorporate this tool into your site. Free SSL Certificate- SSL Certificate encrypts all the data that is exchanged between you and your client. It also enhances search engine ranking of your website. Free Website Migration- You can easily switch your website from one hosting service to MilesWeb hosting service. They manage your data when you’re migrating to MilesWeb. cPanel Control Panel– Reliable control panel in the market is cPanel. You can easily manage files, emails, databases, domain(s) and a lot more with cPanel. Web Host Manager- Host Manager allows you to create and manage multiple cPanels. Programming Languages- Supports PHP, SSI, CGI, Fast CGI, Apache handler, Ruby on Rails. Also, Perl, Python and HTML programming languages with its latest versions. Email Service- Send and receive emails from your domain. Furthermore, allows you to manage unlimited business accounts. One Click Install- You can install various applications such as Joomla, WordPress using Plesk Installer. Automatic WordPress Updates- The software at the backend upgrades your WordPress to latest version. Hence, you don’t need to upgrade or keep a watch on your WordPress site. Server Level Caching- They offer built-in, all-in-one site acceleration plugin. Litespeed cache features an exclusive server-level cache and a collection of optimization features. Fast SSD Storage- WordPress hosting comes with sufficient drive space. But MilesWeb provides you with 200% better performance as compared to traditional storage. Free SSL Security- While exchanging the data between you and your site visitors SSL certificate keeps your data secure. WordPress Preconfigured- WordPress is preconfigured at MilesWeb. Installing WordPress is done easily with various themes and plugins. Fast Provisioning- With MilesWeb you get ultra-fast, scalable and robust hosting for your WordPress sites. Secure Email- With each of WordPress hosting plans you get to manage multiple email accounts. secure your website by spam filtering and malware scanning and the list continues. You don’t need to pay extra for this as it is included in our plan. If still you are confused about which web hosting service you should choose for your domain. Then I have differentiated them all in terms of features, pricing and many more. Now you’ll get a clear idea about the hosting companies that you need to choose for your website. MilesWeb is the company who gives priority based on these three factors. MilesWeb is the one-stop solution if you want your website should be live and get ranked in Google. Here you just need to hand over your site to and let them manage your website. Most Noteworthy, MilesWeb provides you with fast, reliable and customer oriented service as compared to any other service provider. In this post you will explain everything about their quality service. Thank you so much for your suggestion to newbies those who want to start their website or Business. Hi, I suggest you should start your blog/website with MilesWeb Hosting or check Out My article Web Hosting Service Providers. You’ll get all guidance for setting up your site. First, start your site with Shared Hosting then upgrade as per traffic. Hi there, You have performed an incredible job. I will certainly digg it and for my part recommend to my friends. I’m sure they’ll be benefited from this website. Getting features such as white label with reseller hosting is a must to start your own web hosting company. Also, with WordPress hosting, Jetpack has become important as it makes WordPress website handling very easy. MilesWeb though has been in the web hosting industry since few years, it really offers all the key features required by any business with its web hosting plans. Getting unlimited SSD disk space, unlimited bandwidth, unlimited email accounts and unlimited MySQL databases at such a low price is really worth. Thanks to MilesWeb for offering these things at an affordable price for a small business entrepreneur like me.